The Archive - "How to" and "Information"
By davidelliott294, November 22, 2012 in The Archive - "How to" and "Information"
Make sure you have around a couple of hours of free time, it's gonna take at least an hour. 3. Disconnect the battery and remove it. 4. Remove the plug going into the alternator and remove the 13mm nut which I believe is the live. 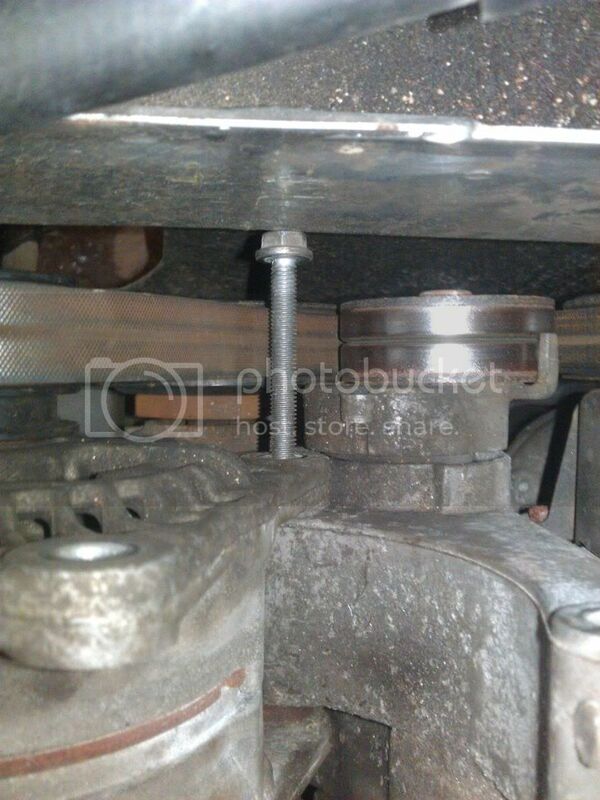 Once done move onto the bolts to remove the alternator, take the top one out first. I believe they are also 13mm iirc. Notice the bolts hanging out. Drop the engine down a tad, don't jack it up as it isn't necessary. You may wish to remove one whole bolt so you have an idea of how far you can go for peace of mind. You don't have to slacken them off much, do each evenly (a turn at a time) giving the bolt a wiggle to see if it can be free'd. These are the bolts you slacken off. 6. 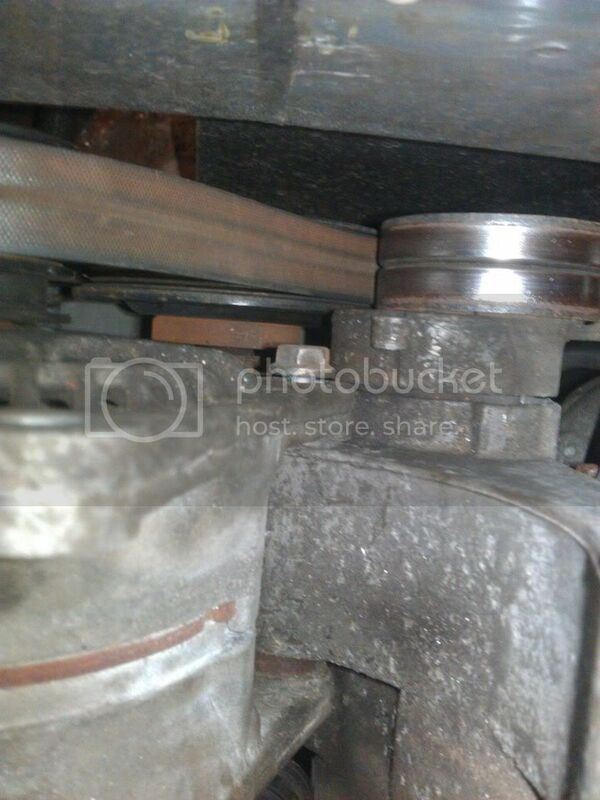 Once you've done that, remove the belt (just pull it to the side and then begin to lift the alternator out. It will take a bit of wiggling side to side and be careful not to bash your radiator You will then have to remove one more bolt, It is an 8mm iirc. 7. Now the alternator is ready to be taken out the car, again being careful not to bash your radiator. 8. 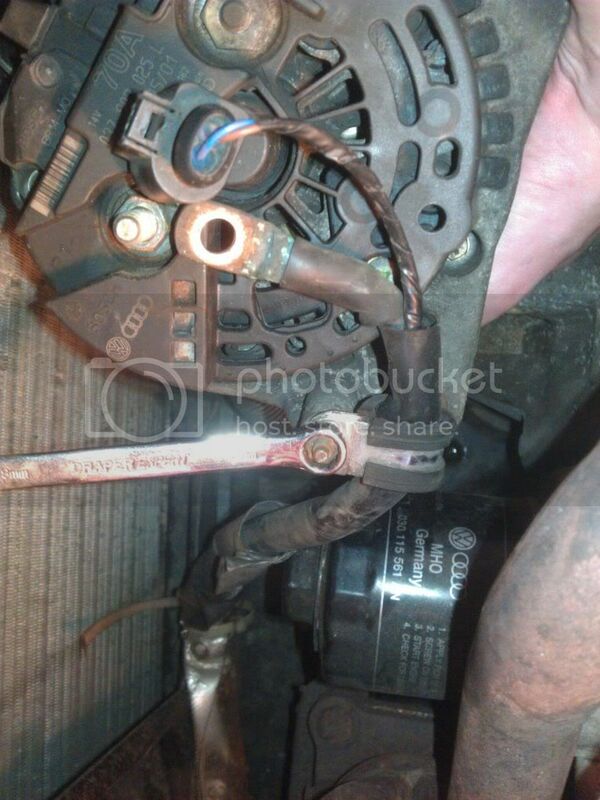 Get your new alternator and put it in the way the old one came out do all the steps in reverse order. You will notice that the belt will be hard to put back on. 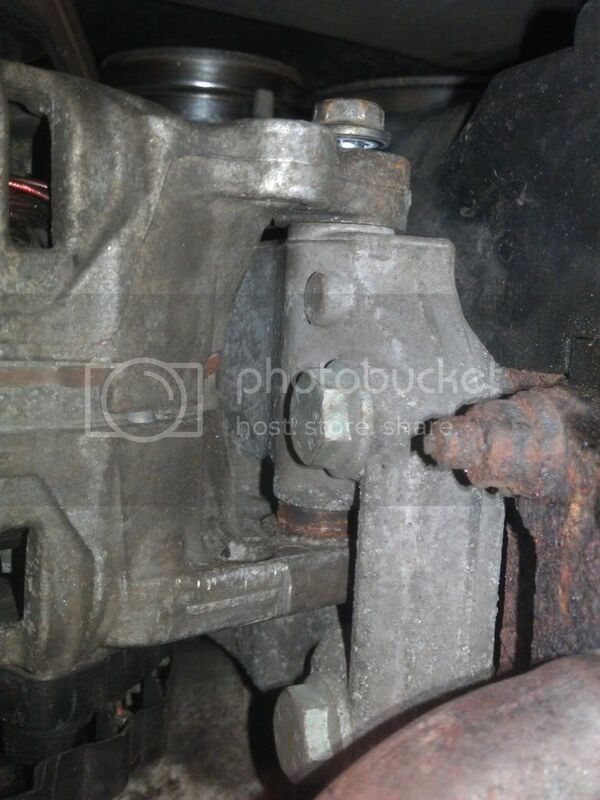 What you have to do is get the belt over the new alternator and get the bottom bolt in to hold the alternator in place (the one that gets caught on the chassis leg). Once you've done that (using the same spanner that removed the alternator bolts) place the spanner on the pulley bolt and pull it right down towards you, it will get really hard to push down, whilst doing this push the alternator up into place and try and get the bolt in to hold it in place (this part is kind of a two man job). This is the most difficult part of changing the alternator. Once it's in place you just have the hassle of putting the plug in and the live cable back on then tightening the engine mounts back up. 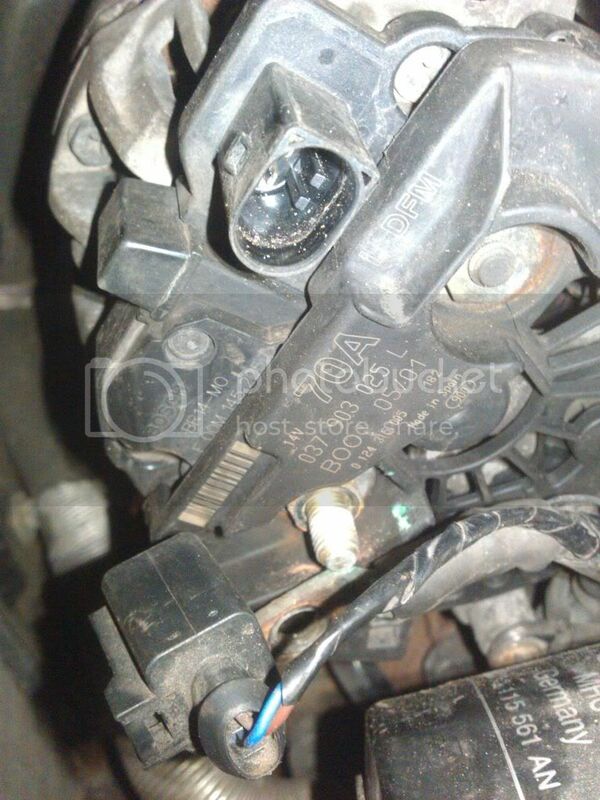 Do not forget to tighten the engine mounts!! Lastly fit your battery and connect it up. If you **** anything up then that's not my fault, this worked for me. I used a different method to replace the belt. 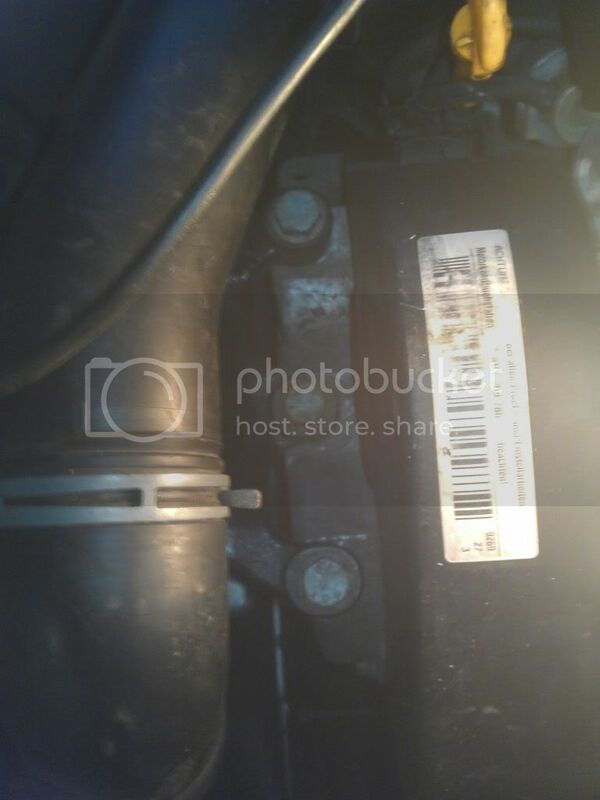 I put the alternator back on the car, jacked the car up, got underneath and put a spanner on the tensioner nut and turned it clockwise this lifts up the tensioner giving you enough play to slip the belt over the pulleys. I never replaced the belt and that's exactly what I did with the tensioner. I put the spanner on the nut and pulled it towards me which is clockwise. No problem, figured i'd write one with pictures since there wasn't one already. Go To Topic Listing The Archive - "How to" and "Information"